The SC2 easyfix promises outstanding results without the use of harmful chemicals. It can sometimes take more than a light scrubbing to see the results you want in your home, but this doesn’t always have to involve harsh chemicals. The Kärcher SC2 can get to work deep cleaning in your home, requiring nothing but water straight from the tap. Whether you’re looking for a helping hand for your weekly clean or are looking to go the extra mile to impress visiting relatives, the use of a steam cleaner can help you get more from the time you spend cleaning your home. The lightweight design (weighing less than 3kg) makes moving the SC2 around your home a matter of ease, allowing you to get at the tough stains, wherever they may be. 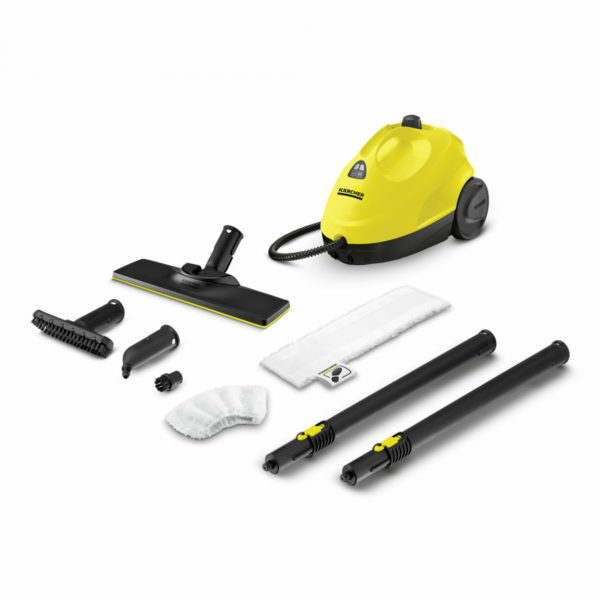 While the Karcher SC2 is easy to handle, it does not compromise on cleaning power. The two level steam control ensures that your cleaning job remains effortless yet powerful around the home. The accompanying array of nozzles and attachments ensure you can use the steam cleaner on just about any surface in your home, with impressive results with every use.